Assault Android Cactus: Set your sights on World 4! Set your sights on World 4! Our latest Early Access update adds new art, stages and enemies! This is what our Stage Select currently looks like! my understanding is once I fill this board with blue squares, I get a free coffee! We've done an art pass on Heat, the flamethrower based stage from World 3. 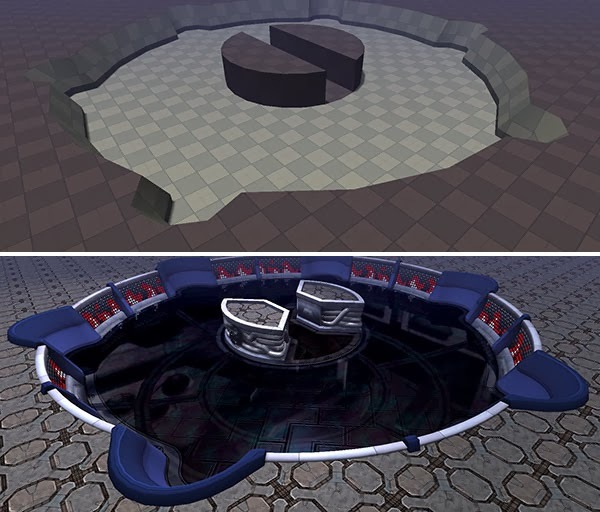 As well as adding shiny floors and video walls to bring it in line with Checkpoint and Revolution, we made an adjustment to the middle island to make it easier for you and the enemies to cut through to the other side. Don't stand near the vents! the Section Lord of this world is using a clever optical illusion to fool you into thinking there is fire everywhere! Relay is a new scrolling level in the same style as Checkpoint, but with it's own twist on the concept. World 4 is set in space, and opening with this stage will be a great way to experience the view! Repeater rounds out World 4 with a stage that builds itself around you as you move! Similar to Influx, the level itself is formed out of animated blocks, but instead of a reconfigurable room, these panels attempts to move themselves about to follow where the action is. 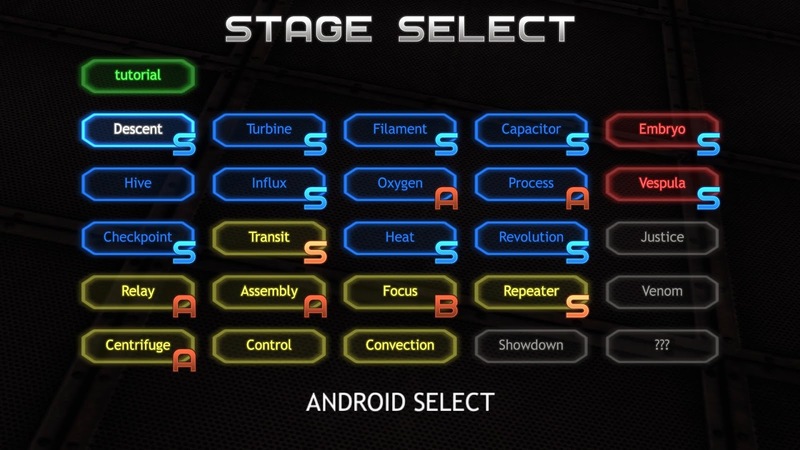 Along the way, we have rebalanced and tuned Assembly and Focus using the new enemy types and balancing the stages as a set. In World 4 we introduce a new type of Nest, Blue Dogs, Bubblers and Reapers. Attention! None of these items are allowed in your carry on luggage! This is available on Steam right now and if you give it a go we'd love to hear what you think on our Steam forum or on Twitter!